Cool, moderate temps, incredibly dry, no rain at all during harvest period. Average yields. 2018 has turned out to be an exceptional vintage. Amazing colour and intensity and balance in reds, very good white vintage too. So there you have it, straight from the horses mouth. We needed a photo to break up the text, so you will see a shot of Jen Pedder here driving the truck, above. 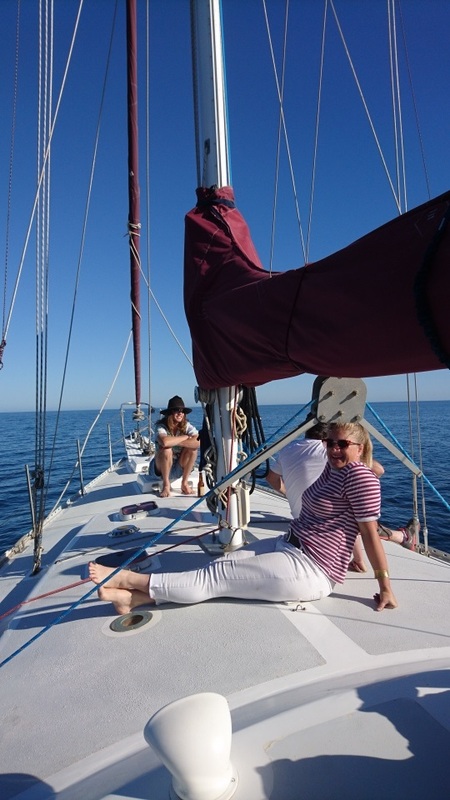 The Battle of Bosworth end of vintage party was conducted aboard Tom Steele’s 44 foot yacht, Cedar Party, which he kindly skippered for our vintage crew from Wirrina further down south on the Fleurieu Peninsula. 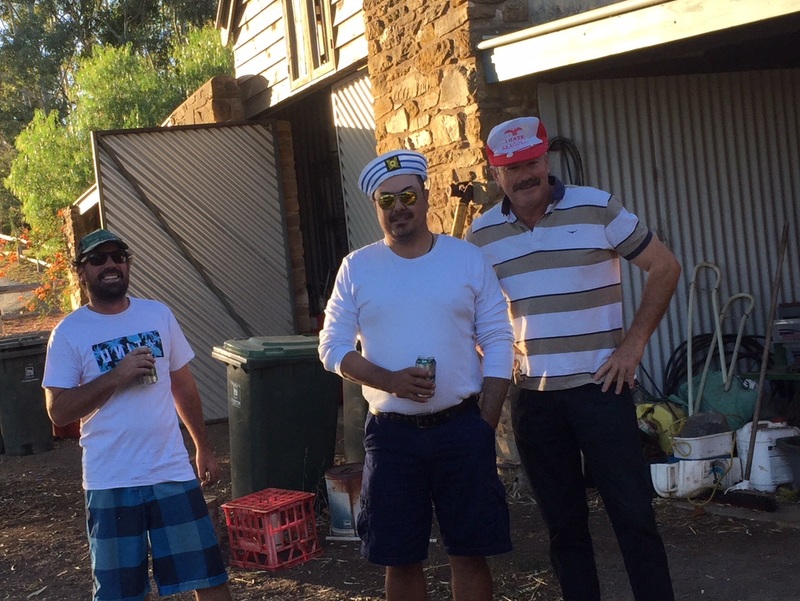 The theme was nautical, and this was before the team knew what the order of play was going to be. 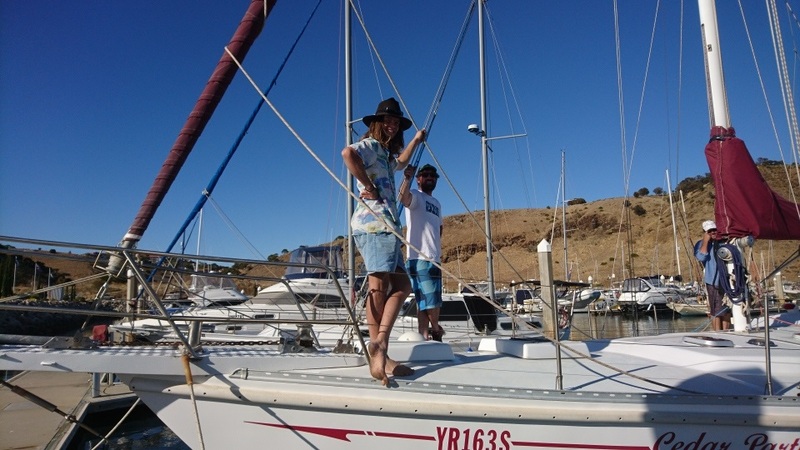 Jen nailed it with the red and white, Spencer perhaps more so with his sailor’s hat. Hornpipe, anyone? 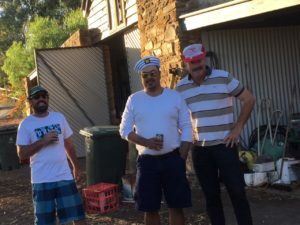 Luncheon was taken at Leonard’s Mill down at Second Valley, and all sailors were all accounted for, present and correct at the Victory Hotel when I collected Joch later that afternoon. 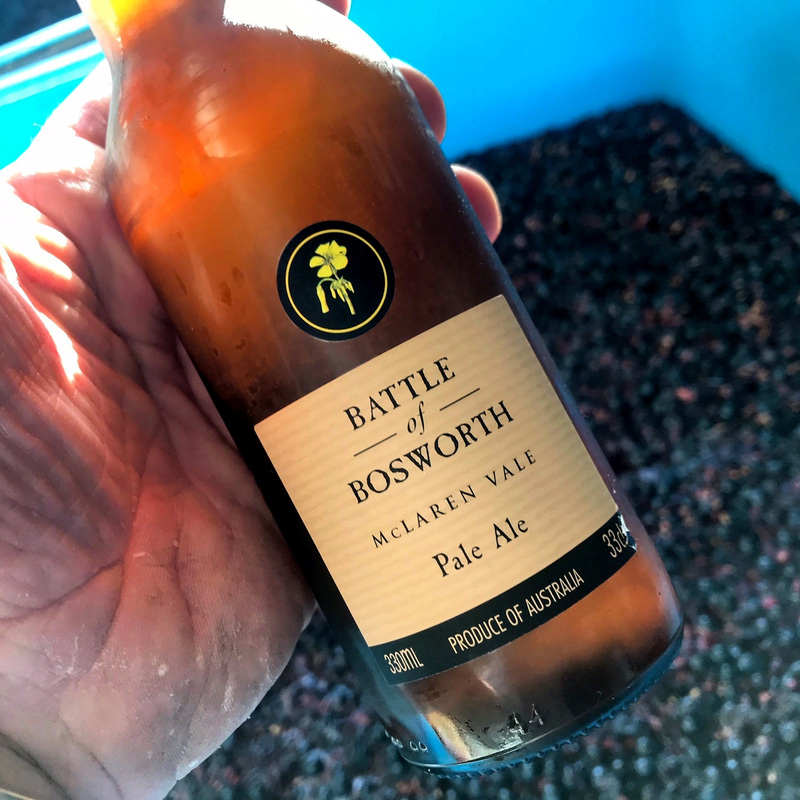 If your eyesight is good enough, you will notice that in some shots the team were drinking beer from a familiarly labelled stubby: the new Battle of Bosworth Pale Ale. 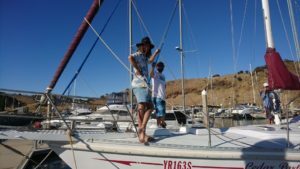 The Bozzy Pale Ale is available now from cellar door, online and at the Star of Greece cafe at Port Willunga. The tasting note Joch wrote tells us that the Bozzy ale is ‘a balanced, malty and slightly floral ale. It is a light to medium-bodied Pale Ale’. A crowd pleaser in anyone’s language. Made using the malting barley Joch grew in the paddock in front of the winery. 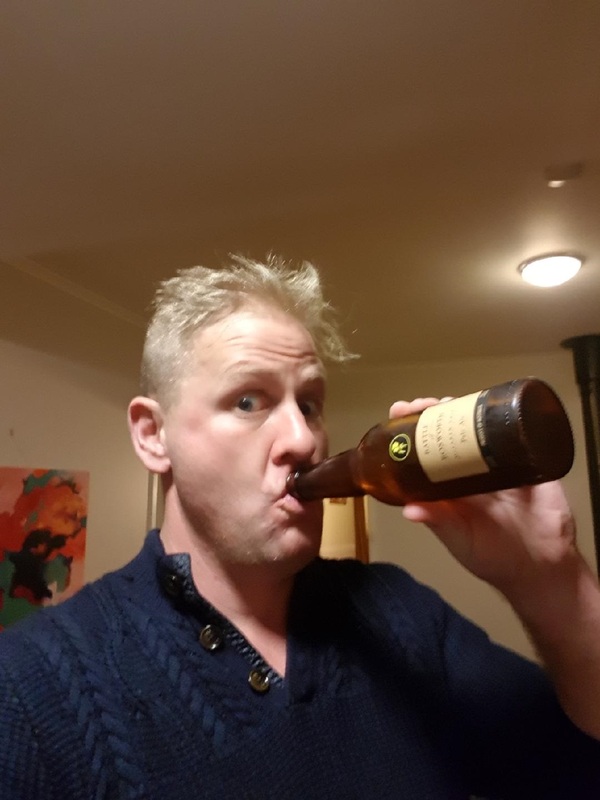 We sent a case of the ale to our wonderful state based wholesale distributors for them to taste and enjoy, and Joseph Burton from Hobart in TAS sent back this photo of him having a cold one. Battle of Bosworth Pale Ale; so good it will make your hair stand on end. Or something like that. We have new vintage releases of a couple of our reds in cellar door now, just in time for winter, if it ever comes. The 2014 Battle of Bosworth ‘Best of Vintage’ is a Shiraz/ Petit Verdot blend this year (90%: 10%) and was rated 95 points by Halliday in his 2018 Wine Companion. The 2014 White Boar is a Shiraz/ Cabernet blend again, although this vintage there is 90% Shiraz, the balance Cabernet. Both are absolutely delicious of course. 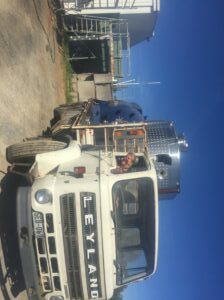 The Kangaroo Island wine project keeps moving along. We still have to come up with a name for the soon-to-be-bottled wine which we made from the 2017 vintage (and made over here at the winery) and the cellar door needs to be built sooner rather than later. This will keep us busy. 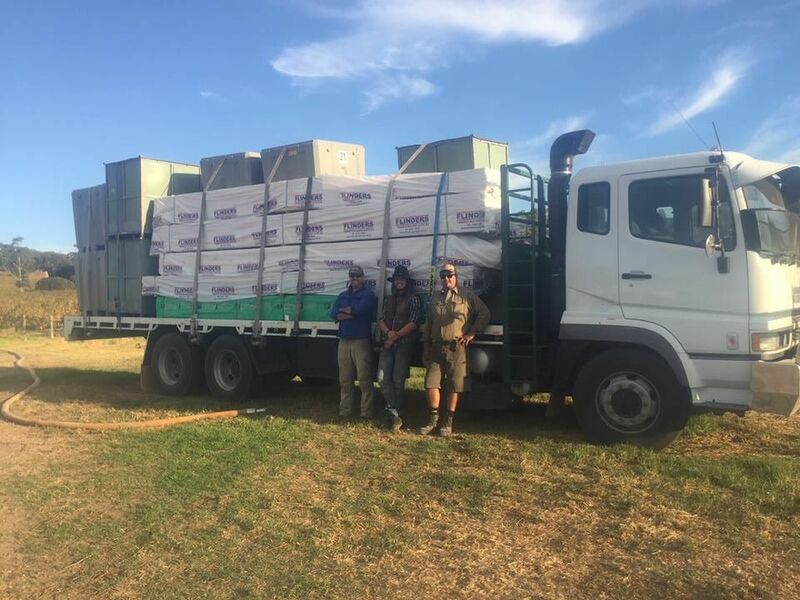 Here you can see Joch, Spencer and Senne all loaded up with bins and the construction materials for the cellar door. The bins were brought back full with the KI cabernet (last pick for both KI and Battle of Bosworth) and of course the materials for the construction of cellar door were left there. Logistics, eh? 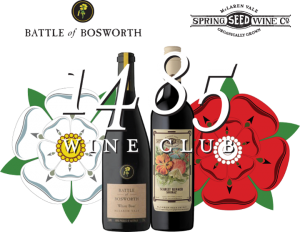 Don’t forget the 1485 cellar club if you keep forgetting to buy wine. You can choose a white, mixed or red dozen pack which you will receive twice a year along with tasting notes. 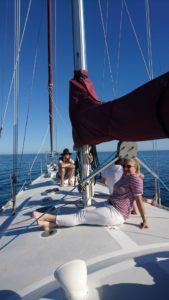 You can click here to find out more about the wine club. OK that’s all I can think of for now, more later.